Just as there are different available medical supplies in Donna, Texas, mobility scooters are also categorized into three main classes. Class 1 refers to manual wheelchairs. Class 2 refers to those used in pavements while Class 3 refers to those used in highway roads. Determine which one you would be best for you. Along with the type, consider where you will be using the scooter. If you will be using it indoors, will it fit through entryways? If you will be using it outdoors, will it be purely on a balanced ground or on all terrains? Knowing how you will be using your scooter will help you figure out which one is really suitable for your situation. You also need to determine how many wheels you want for your scooter. A three-wheeled scooter can be easier to maneuver. A four-wheeled type can provide you with extra stability. Of course, you want an item that can accommodate your weight when you use it. This will be crucial for your safety and for your usage. Read the specifications of the model or ask a professional about weight restrictions. Since mobility scooters are propelled by battery power, they need to be recharged. You also need to take note of the storage space that the scooter needs. Check if you have enough storage space in your home where it can recharge. Different factors affect the distance with which your scooter can take you. These include the age of the scooter’s battery, your weight, and more. Check with the manufacturer about the average distance that the item you want to purchase can give you. The features that you would want to have on your scooter should also be considered. At times, such features are specific to a certain class. For instance, a Class 3 scooter has a horn, headlight and emergency hand brakes, among others. Know which features are appealing, most practical, and most useful to you. Compare the prices of different scooters from one pharmacy in Texas to another. Checking on cost does not mean you have to immediately opt for the cheapest one. You need to get one that offers you good value for your money. O.K. 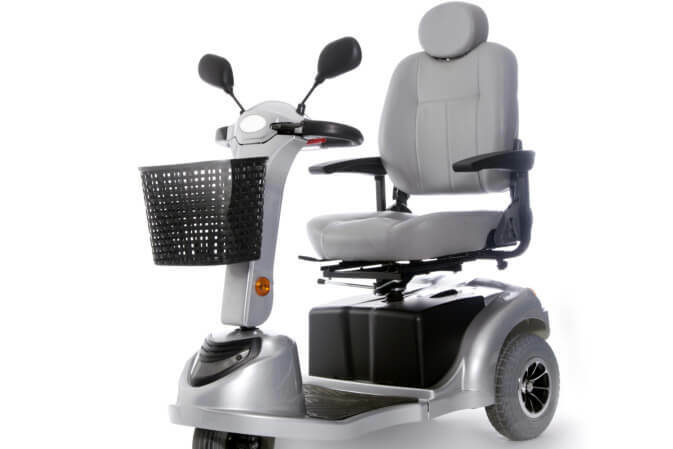 Pharmacy has a wide selection of mobility scooters that can help you or your loved one. Tell us what you need and we’ll get you the item. Contact us online or visit our store today! This entry was posted in Mobility Scooter and tagged Cost, Distance, Storage, Weight capacity. Bookmark the permalink.